Many people are crippled in their personal and professional lives by a deep fear of public speaking. They avoid leadership roles at work, cower in group settings, and can't seem to put their feelings and ideas into words-even with loved ones. As a result, their true potential remains unrealized. Doreen Hamilton, a Licensed Psychologist, once suffered from stage fright. She set out to conquer her fear and discovered that being centered in our true selves is the key to relaxed and confident public speaking. She learned how to speak from her "essential self " and is now an internationally recognized speaker and seminar leader. Essential Speaking takes you beyond scripts and techniques, the mainstays of conventional public speaking classes. 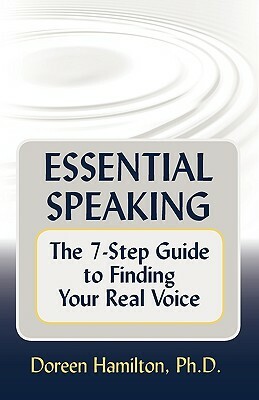 By following the 7 practical steps outlined in this book, you will learn to: - Speak without fear in any situation - Be fully present in front of groups - Create real connection with listeners - Access your wise inner voice - Live a full and authentic life Doreen Hamilton, Ph.D. is a Clinical Psychologist, group facilitator, trainer, seminar leader, and business consultant. As Training Director of Speaking Circles International she leads programs and retreats throughout the United States, Canada, and Europe. Her compassionate coaching techniques model genuine presence and authentic communication. She lives in Larkspur, California.